Jan Hatto invested to his invention and patent everything he had, earned and saved during ten years. The invention was copied, the patent infringed. JH took case to a court. The court judges the patent linguistically unclear, nevertheless it is not unclear, JH's invention worthless nevertheless it is on sale probably everywhere in world. 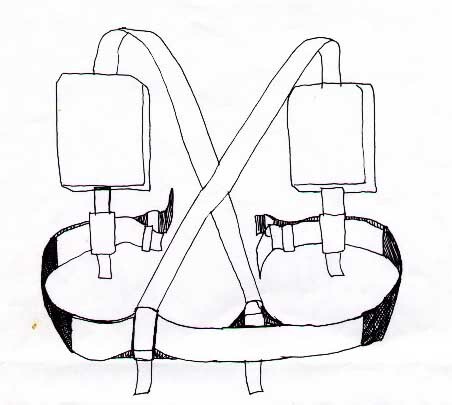 An example of the invention A CARRYING DEVICE left to the court by JH was exchanged in the court to another device which has shorter straps that JH can not show any more how it functions according to his patent. Court of appeal ratified only the judgment. JH is hunger striking and demonstrating since October 11 before Swedish parliament building against corruption and the way inventors are handled in Sweden. Society exploits their inventions and legacy with a ferocious thirst. Individuals are met with scorn. Patent rights are withdrawn by fraud, extortion or as in JH's case by a judicial injustice. 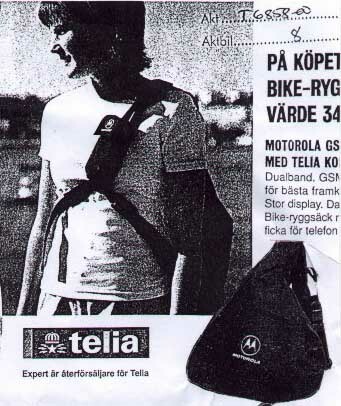 About 100 meters from the place JH is sitting Swedish- american joint-venture Motorola AB sells carrying holders for cellular phones constructed according to JH's patent. Other well-known names, as infringers are The Stadium, Salomon, Peak Performance,Fjällräven JC. Remark: JH fell seriously ill after 61 days of hungerstreik and ended his hungerstreik, will continue demonstrate on the same place. A carrying device for a bag was a part of a large invention. First prototype was stolen and I was forced to apply hastily a patent. I lived in a subterranean room as a lodger, because of low rent and I need to save. Everything I could save, loan and work together were spent on all sorts of patent expenses. I worked overtime, the time left, sewed I bags and contacted companies which could be interested of my invention. Most of them did not care even answer. I called up ten times before I got a chance to speak with some chief. My unlucky invention moved unfounded high in internal hierarchy, finally some chief shouted into telephone, this is not an invention at all, it is impossible to get a patent for this, no one needs such kind of bag, no one will buy this, no one will go around with this. I wrote up all comments and did not need to call up anyone any more, because I could not hear anything I had not heared before. Later was revealed two companies rejected the invention while they produced it already, an imp cut my prototype to pieces before sent it back. It was once a time at the spring of 1998 I walked deep in my thought and stood suddenly before a show-window and was near to fall to pavement. A dummy stand on the show-window and on the dummy hung my patented device. Which no one would need. Now was it a worlds novelty from USA. I had it hard to reach my home in this day, I was extremely destressed and got heavy pain in my stomach. A doctor was suprised why I had come and said: "It is anything strange with it someone has a pain in the back, another one in the head, third in the stomach (She was already the second physician refusing help me). Without medical treatment, without sickness benefit, with recurring pain I wait only to die. Several months later was found that I had got a gastric ulcer. The spring 1999 neared and I swallowed medicine and discovered my "never-will-be-used" invention in every well-known shop. As a final cut started a multinational concern to market his cellular phones together with my invention. The invention looks like may- be simple but is based on a sophisticated technology. Swedish patent 503 364 was grantedÿ in 1996, European patent 0630 196 in 1998, after a unjustified long time. The application in USA turned to a superquarrel without any patent granted after 8 years "examination". Certain nations seem to manage protect their inventors and not enough, even fight others. Cases in court are going already one year without any main proceedings in sight, nevertheless there are not any differences. Multinational concerns (case;company;chief/ T13826-99, Vaude Sport GmbH, Albrecht von Dewitz; T6858-00 Motorola Inc, Chris Kaven; T12775-00, Peak Performance, David Ottoson) spare no resources to break me, paying to anyone anything, employing nations leading specialist in patentprocessright doctor Bertil Grennberg. Doctor Bertil Grennberg ramble and says I can never win the case. Doctor has not found anything similar, He shows in court an ordinary rucksack and claims that I have not invented anything.An inventor can be hated as much as could nevertheless one must follow the rules. The letter above was written a year ago to deputies of Swedish Parliament. What has happened during a year. Shortly after the letter a main proceeding was appointed to 25 January in this year. I could present nearly half of my claim, when I was abrupted, refused to continue and contradict the counterpart. The chairman of the court chief judge Rolf Nöteberg interrupted me every time with words: "We have heard it already", without even to listen what I wanted to say. In the judgement stood the invention is worthless, nevertheless it is on sale over the world and the patent linguistically unclear. Unclear was just this claim in the patent, which the infringer had copied word for word. The actual part in the patent is not linguistically unclear. The court stated without evidence the invention has existed before (A jury is not used in Swedish court). The patentoffices of Europa, USA, Canada and even Swedish patentoffice have found the invention totally new and not existed anywhere in any form before, only the court of Stockholm finding the invention not new without presenting any evidence. A new culmination occured in my bag- and patentadventure on 26 March during so called oral hearings. I started to put on the infringements bag, but could not do it, could not get the bag around my body any more. Finally I did it any how, but it was impossible to adjust the bag accordingly the patent, the straps were too short. It took time before I understood what had happened. The bag I had given to the court a half year ago, had been exchanged for another similar one, with shorter straps, the elastic section reduced to a small piece. The price label with courtstamp was removed and set back with a safety pin and a worn ribbon. The name of the company accomplished it is "Peak Performance" and not anything other. I started complain, but nobody was listening to me as I had moved my mouth without words. I reported it finally to the police. I have not heard of it after that. When I was away from my home, somebody had been in my apartment. On September 4, 7.30 a.m. at least two persons tried to intrude into my apartment. They rang. When I was spying out through my dooreye, they hid, one laid on the all four, understood I was suspicious, they fled in panic. The only support came from the patent office. Ulf Jansson wrote my linguistically "unclear claim" was not unclear and in force according to the law. On 11 September a main proceeding took place in Court of Appeal "Svea Hovrätt". In the judgment stood only two sentences (in a grammatical sense) the previous judgement would be ratified because invention solves another problem. The defendant had already admitted, the invention the solves same problem. (In fact the invention solves same the problem) and it was a civil case. The statement of patent office was never read by Court of Appeal. The cases lasted two years can be referred very shortly: There at least two different claims and figures in the patentdocument, they are specifying two different embodiments of the same invention. The court is reading only this embodiment which is different, the word for word copied one is ignored totally. When I intended to take other infringers in court was my right to claim withdrawn (T6953-6958 -01), nevertheless I had done it against previous already two years. I have been criticized for to invent things to attract attention. I want to complete my bag- patentadventure only with one detail. The defendant wrote in his answer that the elastic part of the belt of the bag is only 9 cm long, actually it was even longer, the "false" bag has hardly 6 cm long elastic. Some days after 26 Mars, went I to the Court "Stockholm Tingsrätt" and measured all the straps and belts by the bag, wrote up all the lengthes and give in the court. I had no chance to falsify, everyone could see with their own eyes, if I had written up wrong measures. I reported the case even to the police and demanded the police to confiscate the "false" bag, as an evidence for an eventual criminal case. The police could not confiscate it. The police investigator explained that it was responsed in the Court the departments chief Rolf Nöteberg had taken an official journey with the requested bag. I do not know, when or ever returned chief judge from his official journey, one of his colleagues took his chiefspost. The bag for proof in the main proceeding on 1 November looked like homesewn and in any way was not the bag I had given in the court. I can not confirm was this the same bag the chief judge had taken an official journey with or soon a third? After a short conversation with a Supreme Court judge I understood their judgment would include only one sentence (In a grammatical sense). Supreme Court in Sweden had not had any infringments cases since 1965. The law-wises had already turned to riches through my misery. The only thing left was toÿ efface traces, to hush up, to tidy up as it lookes in Swedish TV. A common man would be annihilate behind the scenes, his life and future would be sacrified, to grand a chance for powerfulls and bigs stay flawless. I signed ready a poster: "Hungerstreik, because judicial injustice, the materials for a proof disappeared from the court, court refuses to read a right granted of an authority" and sat before the building of Swedish Parliament on October 11. The first days were a real torture. Stairway was hard, cold and wet, I was dizzy all the time, every minute felt like a quarter. The next day came a man to me and said, they who killed jews together with Germans, have not any earthly chance now. An old woman gave dextrosepills. The pills made my head clear, another by-passer gave a very good pad to sit on, the organism got used to starving. All the time people were coming to me telling their own stories. I hear one horrible history after another, The judical system seems to be in a total disorder in this land. Many were giving their support and showing out their sympathy. One man started to cry, when he saw me, opened his wallet and handed over me a bundle of banknotes. A female deputy came to me, having a lump in her throat, and said: "Sweden is not a state built on the law, who has much money can buy both lawers and courts judgements up to the highest level, common people stare only, pass by and do not understand anything". Another deputy found me a lawer who advised me and read my documents, but expressed a desire to have been never mentioned. An official in Swedish Patent Office advised to try find a lawer from other land for example from Finland. Other by-passers laughed at me, coming again after some hours, wondered if I have sat all the time "I have sat herealready 33 days", they were laughing loud, study my poster and say it is impossible. My hungerstrike, my suffering have turned to unreal likewise my invention and my cases. I do not know who has destroyed a mans mind so completely in this land. People neither believe nor understand they are seeing with their own eyes. In same time about 100 meters from the place (Galleria, Expert) I am sitting, Swedish -american joint -venture Motorola AB sells all these days small rucksacks with holders for cellula phones constructed according to my patent, intentionally to get rid of me and my patent. The next part will be written in February or March in this year. Now I have been exposed to a complete persecution, even my sickness benefit was withdrawn, I am sick with a work-injury longer than a year. On the 50:th day of my hungerstreik (29. 11.2001) fell ill and weak and could not go to the parliament building, stayed at home a day. Any media had up to then neither written nor spoken about my hungerstreik. I could die in the middle of street and the most meaningless trash paper would not write a single line about my death. In the larger papers stood thick and big headlines: "Refugees are hungerstreiking in Australia". Scarcely would I be buried, would disappear as Rudolf Diesel. On the 61:th day of my hungerstreik I fell seriously ill , stayed home, drank milk , give up the hungerstreik and continued to demonstrate in the same place. On the third January 2002 a young woman told as hers grandfather invented and patented in the seventies. The invention was copied and the patent infringed. The inventor was trampled down and he did not find any other way out as to commit a suicide. Where was the society who had to defend his rights with his omnipresent justice? Four persons told their materials for a proof disappeared from court. They did not dare say their names. Every one had a foreign origin. To keep quiet, is it not the same as to encourage the offenders to new encroachments? Juhani Peltonen told court falsified his signature. On the fourth February started another inventor: Kurt Blom (phone: +46- 73-6703758) from Nyköping to demonstrate before the parliament building and demonstrated during many weeks. Corrupted lawyers deprived even his lifework. I appealed to the Supreme Court, JO (the Swedish Parliamentary Commissioner for the Judicary and Civil Administration), DO (Same authority for a discrimination). They rejected my appeal immediately without to proof or to investigate it. I distriputed leaflets with my address, had distriputed already 2000 leaflets, but no one had written me. At last a man interested why I had not answered him. Then I understood something was going wrong. "SÄPO (Swedish security police) steals my letters" I complained to one parliament deputy. After that were letters arriving, the first one written three weeks ago posted here in Stockholm. Did I get all my letters? Who do know the answer? When I apointed a date, an agent appeared. The same Bond had watched after me at the Nobel- day, with his zombieyes and an antenna, as a white cord hanging out of his ear. They must had tapped my telephone. In any otherway it was impossible to plot my date. Have I invented me to a people's enemy? Please support me with a signiture, I demonstrate before parliament building on Saturdays, got back my sickness benefit after some months. I thank everyone for support and pity, an economic aid can be delivered to post-bank account 832 02 79 -6 in Sweden. On 27 September 2002 a main proceeding against"Peak Performance" took place in Court of Appeal "Svea Hovrätt". The court abandoned unanimously their previous unanimous judgement and presented a new unanimous judgement, forming already third version why infringers do not infringe my patent. In September 2002 came a piece of news: the rate of applications of patent in Sweden had gone back 25 per cent, during my protest had the rate totally decreased 30 per cent. In November 2002 a team of doctors revealed my health ruined entirely by all hartships. In April 2003 was my inventions exhibited on the worlds most famous fair of inventions in Geneva (31-e Salon des Invention de Genève) and rewarded with a bronze medal in his class. 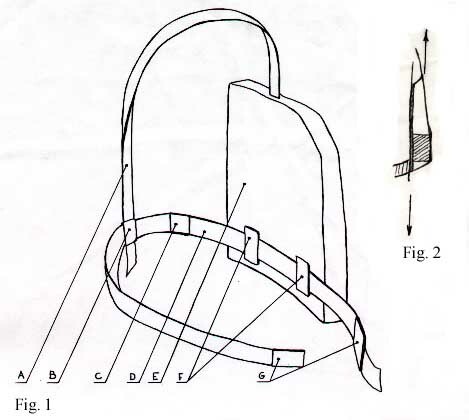 The journal "Verkstäderna" (no 06 2003, p. 34) wrote an article about the invention. In September 2003 I decided with the inventors Kurt Blom och Boris Simic to found an organisation "Inventors ---victims of state crimes" and demand a compensation from the State of Sweden. The inventor Bertil Burström put togehter a list of 25 names, all inventors expropriated in Sweden. The photos below: first:Motorola(Expert Nytt September 1999), second and third: the figures of the patent.